AMERICAN ENTERPRISES PVT. LTD. has marked its reputation in the arena of manufacturing, exporting and supplying Dyestuff & Chemicals. The exceptional quality, cost-efficient range of our products is extensively appreciated by the customers. Our Dyestuff, Industrial & Laboratory Chemicals, Fine Chemicals & Reagent, Dyestuffs, etc. We Manufacture a quality range of Acid Dyes, which is water-soluble anionic dyes, used extensively in the Textile Industry. 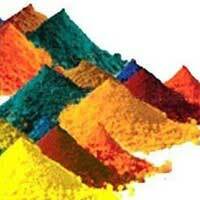 Acid Dyes we Export has been appreciated in the international market for its advanced performance and high quality. At each stage of production Acid Dyes under go stringent quality checks to ensure it is eco-friendly and safe to use. Clients can obtain Acid Dyes from us at market leading rates.